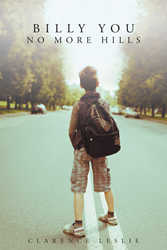 Recent release “Billy You, No More Hills” from Page Publishing author Clarence Leslie is a captivating work that is a result of the stories the author has told throughout his life. Clarence Leslie, a World War II veteran, husband, father, story teller, devoted writer and author, has completed his newest work “Billy You, No More Hills”: a gripping and entertaining work that portrays the beauty of life and self-worth. Published by New York City-based Page Publishing, Clarence Leslie’s vibrantly crafted work will be loved by all readers! Billy You is not a common name nor is he a common boy. Billy was an orphan boy in an orphan home with one other boy in the home also named Billy. One day the two Billy’s were fussing about something and one of the lady matrons spoke up and said “Billy that is enough.” One of the Billy’s asked “Billy who?” and the lady matron answered “Billy You, that’s who!” Hence the name stuck. Billy You was leaving the home to live with foster parents, he didn’t want to, but he had no choice. The first few days were fine, then trouble came, big trouble. Now he was on the road trying to find his way back home, but trouble and problems followed him every step of the way. Would he make it back? Readers who wish to experience this profound work can purchase “Billy You, No More Hills” at bookstores everywhere, or online at the Apple iTunes store, Amazon, Google Play or Barnes and Noble.